TGIF is an expression of celebration for the weekend, except if it happens to be month end Friday, like today, and you are an attorney or related to one. This video is for all those readers who make a living out of billing their time for rendering services involving IP. Credits - Blain de Villiers for sending it to me and the band itself, all apparently practicing lawyers in Texas. Late last week former Deputy President of the Supreme Court of Appeal and subscriber to the Afro-IP - Louis Harms - sent Afro Leo an article he had published this month summarizing his thoughts on the changes to the Exchange Control regulations following his own judgement in Oilwell. Fascinating stuff- look out for a post on this in the next few days. 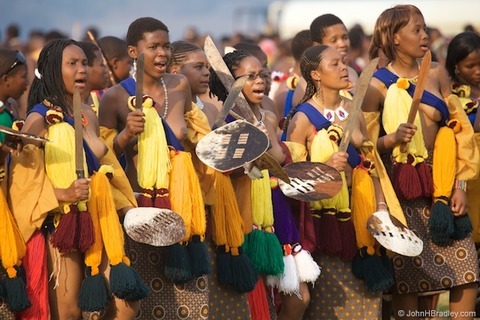 This weekend Afro Leo is getting a unique insight of the Zulu culture when he attends the Umhlanga ceremony as a guest of King Goodwill Zwelithini, the reigning King of the Zulus. The ceremony is used as platform to educate and inform thousands of people and is a powerful symbol of one of Africa's most feared and famous tribes. And, for those interested in spare parts or BMWs look out for the Supreme Court of Appeal decision sometime soon. The appeal hearing took place on Monday in Bloem. For background reading click here.